Preston University Kohat Campus Khyber Pakhtunkhwa. 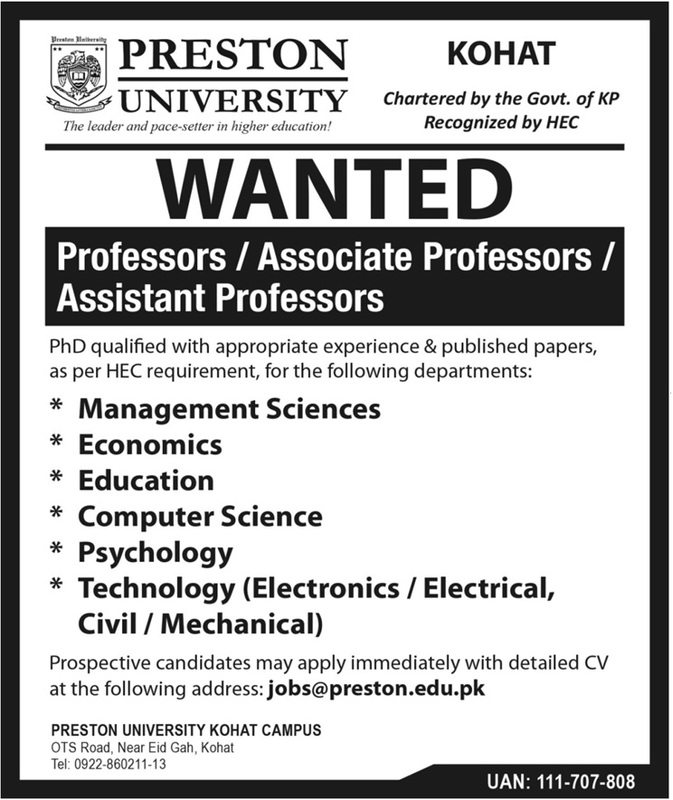 Prospective candidates may apply immediately with detailed CV at the following address: jobs@preston.edu.pk. OTS Road, Near Eid Gah, Kohat.